It’s no secret that portable restrooms and construction sites go hand in hand. Whether working on a small home remodel or a large commercial building site, the porta potty can play an important and integral role in keeping your job site safe, functional and up to code. 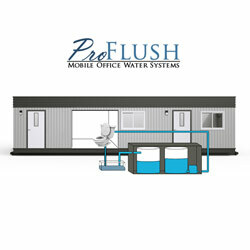 This self-contained facility comes standard with a toilet, urinal and toilet paper dispenser. Crane lift restrooms work great for those hard to reach job sites, where access is limited. This restroom was designed exclusively for construction sites where height is limited. These restrooms are mounted to a small trailer for easy transport from job to job. This sink was built for the most demanding work environments and is OSHA compliant. This is a family-friendly facility provides plenty of interior room for those with special needs. Restroom trailers are a practical choice for commercial job sites or bathroom remodels. This system provides the connections trailers need without tying into city water lines.